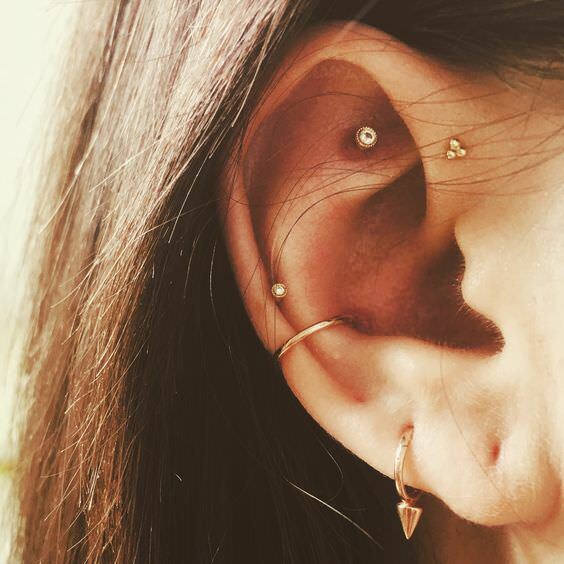 Will The Cartilage Piercing Definitely Hurt? Probably. You are putting a hole through skin and cartilage tissue, after all (which your body will treat like a wound until it heals). But everybody is different, and while it may hurt a lot for some, it may not hurt so much for you. When you’re talking about cartilage piercing pain, there are actually two different types of pain at issue; the initial pain from the piercing needle (or gun), and the later pain as the piercing heals. There are also two different types of cartilage piercings. 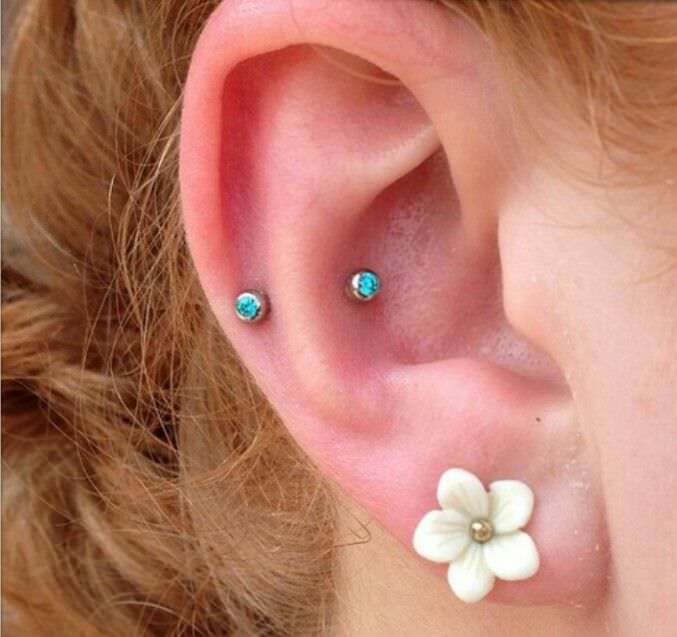 The piercing most often referred to as a cartilage piercing is the upper ear. 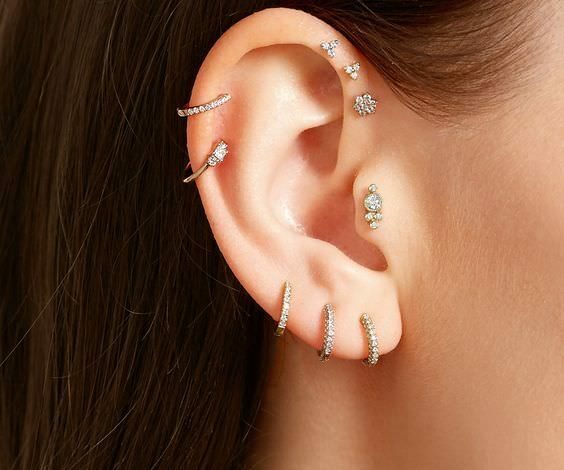 You can get many different areas of the ear pierced, and almost all of them, with the exception of the lobes, contain cartilage. However, the nose also contains cartilage, so you can get a cartilage piercing through the nose septum, or through the tip of the nose as well. How Bad Will The Cartilage Piercing Pain Be? 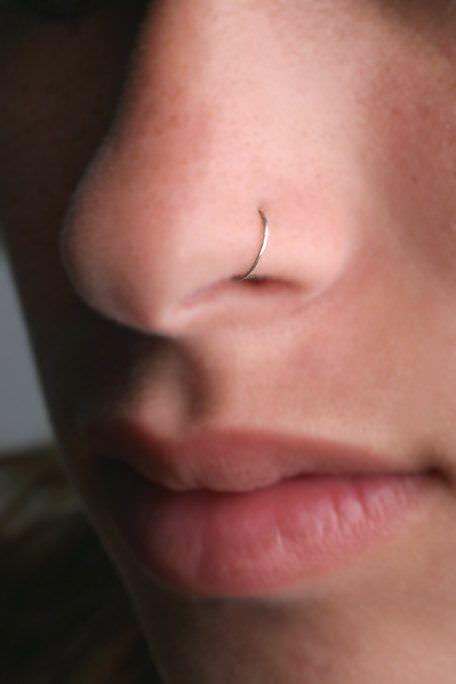 The thing to remember about any piercing is that the initial pain is over fairly quickly. It’s not like a tattoo where the needle enters the skin over and over again. That being said, a needle doesn’t go quite as deep for a tattoo as it does for a piercing, so it will be slightly more painful for a shorter duration of time. How much initial pain you experience is going to depend upon which particular area of cartilage you get pierced. Some are more sensitive than others. A good way to gauge how the pain will rate is to pinch the area you want to get pierced. It won’t feel exactly the same as getting pierced, but it will give you some idea of how well you tolerate pain in that area of cartilage. For cartilage piercings, a professional piercer will use a hollow needle to make a hole through the tissue. Cartilage is firmer than flesh but softer than bone, so you will feel a bit more resistance than if you get your earlobe pierced, for instance. Once the needle goes through, the jewelry is inserted. Some piercing shops will use a piercing gun if you prefer. Most people, however, report that piercing needles are less painful than piercing guns, which punch the jewelry through your ear. The process is over quickly. How Long Will A Cartilage Piercing Hurt For? After the brief initial pain, the cartilage piercing may hurt for up to a week as the inflammation calms down. Because this area doesn’t get much blood flow, it takes longer to heal, which means the healing pain lasts a bit longer than other regions of the body. After that, you shouldn’t experience much pain unless the jewelry gets pulled or pressed against you when you sleep. What Factors Can Affect Cartilage Piercing Pain? Several factors determine how bad the piercing pain will be. Here are a few things that make a difference. You should select a day that you feel optimal for piercing. That means it’s not a good idea to get a new piercing the day after staying up all night binge-watching Netflix. Your body is better able to handle trauma when you’re well rested, and a piercing is a small trauma to your body tissues. A healthy body heals better than one that is not taken care of. Prior to getting pierced, make sure you’re eating healthy and taking care of yourself. The healing process will go smoother and you will experience less inflammation. You may think that having a few drinks or smoking a joint will make you calmer for the piercing process, but those substances affect your body in multiple ways. It’s better to go in for the piercing with a clear head. Alcohol, especially, dehydrates you and makes your body less prepared to heal the new piercing. It can also enhance your pain , (even if it would initially appear that alcohol would cause the opposite effect). The more anxious you are prior to the piercing, the more likely it is you will experience the pain as being more intense. Often, it’s the worry beforehand that turns out to be worse than the actual piercing experience. If you’re prone to anxiety, try to do things to help you stay calm before you get your cartilage piercing, like listening to music. One of the best things you can do is inform yourself about the process. Knowing everything you can about cartilage piercings prior to getting one takes away the uncertainties of the process. And often it’s the things we don’t know that make us the most nervous. You can use a lidocaine numbing cream prior to your cartilage piercing. You rub the cream on the area you want to get pierced and wait for at least half an hour (but no more than an hour). It reduces the initial piercing pain. You will, however, still feel some sensation during the piercing. 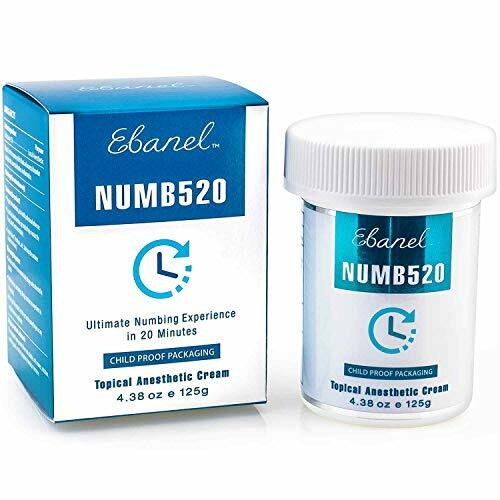 One of the most effective piercing numbing products currently on the market is a cream called Numb 520. The feedback left by hundreds of customers for this product is nothing short of brilliant. Just follow the instructions on the tubs, apply shortly before your piercing procedure is due to begin and look forward to a less-painful experience. The 1.35oz tub also ensures that you will have more than enough cream for several piercings. Give it a try, and I'm extremely confident that you will not be disappointed. Read more about Numb 520﻿ here. Have a quick look at some of the customer reviews and you'll see why it's so popular. Who performs your cartilage piercing can make a difference to how much the pain you experience. A more experienced piercer will get the procedure done quicker and usually cause less pain because they know exactly where to pierce. It also depends on how roughly the piercer handles the needle and jewelry. Ask around to find out what other people’s experiences have been with various local body piercers. Although cartilage piercing prices may be higher ​when using a more experience piercer, the extra cost is definitely worth it to help ensure everything goes as well as it can do. 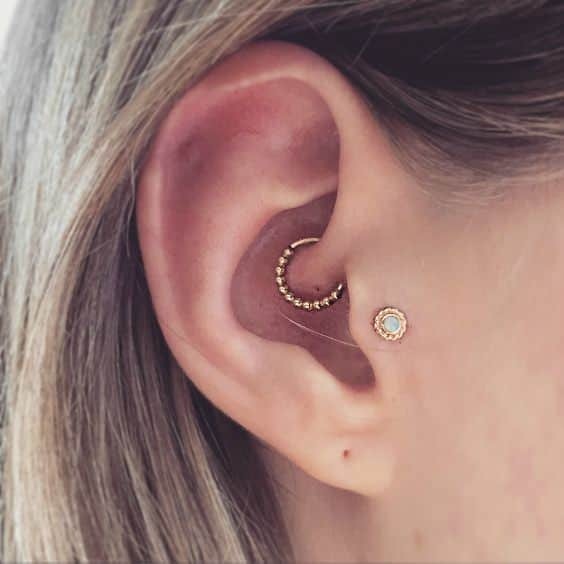 Over the next few days after the piercing, you will very likely experience at least some amount of pain, and this can vary widely depending on your own personal healing process. Things such as swelling, bruising, infections and the formation of piercing bumps can all affect pain levels. Now that you know what factors affect pain, here’s what you can do to make getting a cartilage piercing slightly more tolerable. Eating a snack beforehand will also stabilize your blood sugar and help prevent you from feeling faint when the needle goes in (especially if you're prone to anxiety). Yes, you can expect to experience pain during and after a cartilage piercing. 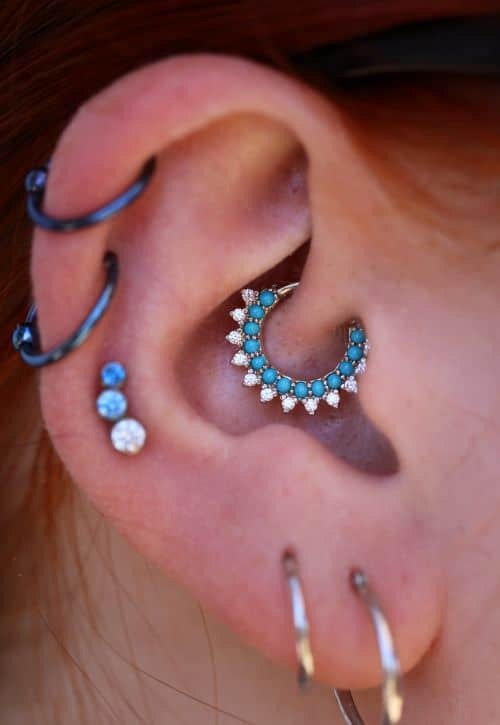 But if you choose a quality body piercing shop with sterile conditions and practice proper cartilage piercing aftercare, your pain will be minimal. And once you've finally received your amazing new cartilage piercing; you will have completely forgotten about the pain anyway.